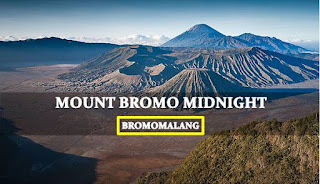 Mount Bromo Midnight Tour Package is perfect for those who want to travel to Mount Bromo without having to spend the night at a hotel near Bromo, much cheaper and easier by buying a midnight Bromo tour package. 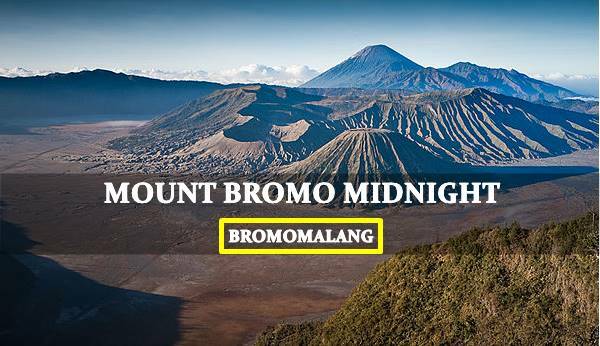 Many tourists use the tour package to Bromo 1 tonight because it is cheaper and not too expensive for a vacation. Bromo tour packages that we offer are very varied, if you do not match the program we offer, you can make your own vacation program. The following is a one-night Bromo tour package program that we offer for those of you who want a vacation to the Bromo Tengger Semeru tourist area in just half a day. Without having to stay at a hotel in Bromo. Pick you up by AC tourist car in your arrival at night around 23:00 AM at Surabaya airport, Hotel, Malang City or Banyuwangi. then, take you to Cemoro Lawang or Sukapura village for 3,5 hours driving. After get your hotel in Mount Bromo area or Sukapura, change your car into the Jeep 4 WD then start Mount Bromo Tour at 02.00 AM to Mount Panajakan or view point for 1 hour driving to the parking lot. Return you to Surabaya Airport, Malang city or your hotel and finish Mount Bromo Midnight Tour. After finish enjoy Mt Bromo Sunrise tour, If you have more time, You can visit other interested place in Java Island, Indonesia such as Songa Rafting, the most popular crater in Java Island "Blue Flame Ijen Crater" If you prefer like enjoy volcano trekking tour, You can try Mt Semeru Trekking tour and Kumbolo Lake Camping. For detail information about Mount Bromo Midnight tour, accommodation and tour package price, You can discuss in Our cantact.